At Electro Kinetic Technologies, we welcome the unique challenges that come with custom and retrofitting work. Each job helps to broaden our own capabilities as innovative engineers, and gives us the opportunity to showcase waste-saving innovations like motorized casters and retractable drive systems. 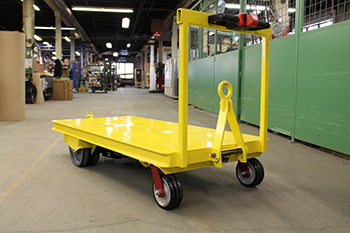 For this particular job, we worked with a major automotive manufacturer to develop an ergonomic motorized trailer; however this trailer required more versatility and maneuverability than what a standard motor system could provide. To tackle the problem, our engineers got to work designing a solution that accommodated both ergonomic safety concerns, and logistical application needs. 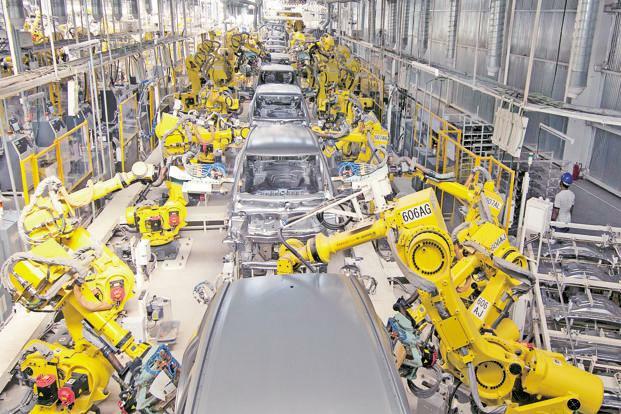 The auto manufacturer’s problems began when it came to steering their non-motorized trailer into a manufacturing cell using another vehicle. This existing system could not provide enough maneuverability to guide the trailer where it was needed. Our initial solution was to retrofit the existing trailer into a motorized solution; however, this alone didn’t solve the problem 100%. When the trailer needed to be pulled independently of its drive system, the motor would be damaged with the drive left in contact with the floor, therefore ruining its motorized capabilities. 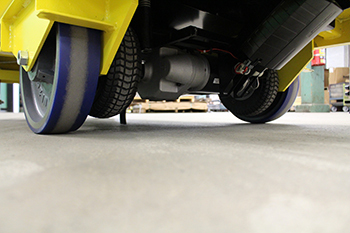 This presented the need for a retrofitted retractable drive system that could power a motorized cart when needed, but retract into the cart when pulled with another vehicle. Our engineers got to work solving two main issues: designing a mechanism to retract the drive, and providing a means of user engagement of said mechanism. Electro Kinetic Technologies was able to take one of our previous retractable drive designs using a linear actuator, and customize the user engagement feature. The auto manufacturer specifically required that the operator remember to retract the drive system before towing the trailer with the vehicle, rendering a key switch or rocker ineffective. To meet this need, we designed a retrofitting solution that utilized a tow bar instead. The end result gave our customer the versatility, efficiency, and safety they were looking for. Retrofitting can be an excellent cost-effective solution to a variety of unique problems by taking existing technology and engineering it to the user’s specifications. If you would like more information about retrofitting, motorized casters, or retractable drives, contact us and one of our team members can help answer your questions.